For the first time on the Disco, we discuss a book on the craft of writing. We delve into a new collection of essays by some of the world’s great memoirists. 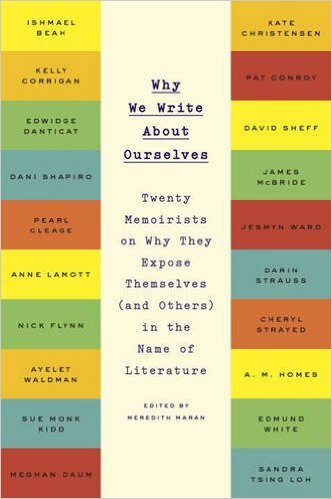 Why We Write About Ourselves: Twenty Memoirists on Why They Expose Themselves (and Others) in the Name of Literature is edited by Meredith Maran and includes pieces by Darin Strauss, Cheryl Strayed, Anne Lamott and more. These essays are brief, interesting glimpses behind the curtain; a chance to see how some writers approach their material. And, perhaps not surprisingly, the process and philosophy varies greatly from writer to writer.